The Ram Invader is a killer all-mountain snowskate. The sub-deck has medium/wide waist for max stability and a tapered tail and wide nose. The top deck is coffin-shaped to give your feet extra space to work with on the nose and tail. 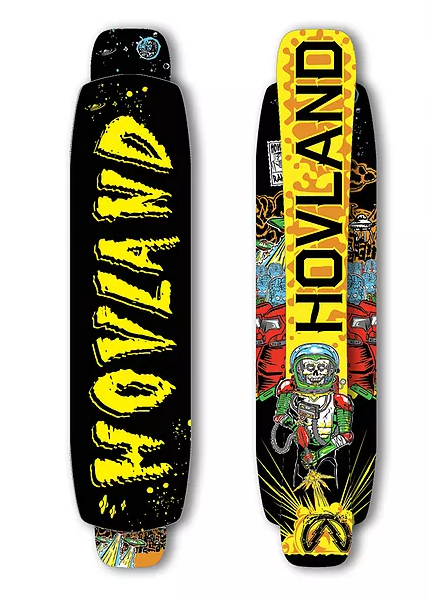 Finally, it comes with strong low-pivoting trucks that flex your sub deck perfectly when carving and popping rails.